In this multi-institutional study of patients undergoing pancreaticoduodenectomy for pancreatic adenocarcinoma, we sought to identify factors associated with perioperative transfusion requirement as well as the association between blood transfusion and perioperative and oncologic outcomes. 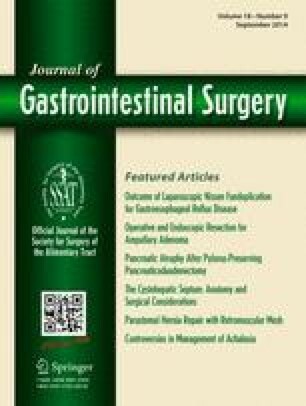 The surgical databases across six high-volume institutions were analyzed to identify patients who underwent pancreaticoduodenectomy for pancreatic adenocarcinoma from 2005 to 2010. For statistical analyses, patients were then stratified by transfusion volume according to whether they received 0, 1–2, or >2 units of packed red blood cells. Among 697 patients identified, 42 % required blood transfusion. Twenty-three percent received 1–2 units, and 19 % received >2 units. Factors associated with an increased transfusion requirement included older age, heart disease, diabetes, longer operative time, higher blood loss, tumor size, and non-R0 margin status (all p < 0.05). The median disease-free survival (13.8 vs. 18.3 months, p = 0.02) and overall survival (14.0 vs. 21.0 months, p < 0.0001) durations of transfused patients were shorter than those of transfusion-free patients. Multivariate modeling identified intraoperative transfusion of >2 units (hazard ratio, 1.92, p = 0.009) and postoperative transfusions as independent factors associated with decreased disease-free survival. This multi-institutional study represents the largest series to date analyzing the effects of perioperative blood transfusion on patient outcomes following pancreaticoduodenectomy for pancreatic adenocarcinoma. While blood transfusion was not associated with increased rate of infectious complications, allogeneic blood transfusion did confer a negative impact on disease-free and overall survival. Presented at the 2013 Annual Meeting of the Society of Surgery for the Alimentary Tract, Digestive Diseases Week, Orlando, Florida; and the 2013 Annual Meeting of the Pancreas Club, Orlando, Florida.